The Napa wine industry is a pretty charitable group. Most of the industry people we are familiar with are generous with their time and resources, and are eager to help those who may be in need of help. There are all sorts of ways that wineries and wine professionals donate their time, services, resources and wine to help a multitude of worthy and important causes throughout our valley, and even beyond. Today we spent a wonderful morning with a group that had the winning bid on one of our charitable auction lots. 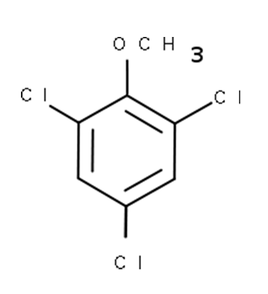 Their winning bid entitled them to a winemaker-led blending seminar in our Reserve Room, and a beautiful white tablecloth lunch in our Jefferson House Dining Room, prepared by one of our favorite local restaurants, Hurley's. In addition, the winning bidder will take home four cases of the blend they came up with this morning. Events like this make everyone feel good. The winning bidder is excited to spend a wonderful day at Monticello with his family and friends, and will have 48 bottles of wonderful wine to enjoy that they have created themselves from our barrel lots. The auction is excited to have created a winning platform which brings together bidders and wineries in uniques ways such as todays session. We are excited as a winery to have our guests enjoy our facilities, and get a taste of what happens behind the scenes in putting together a winning wine. Everybody involoved is deeply satisfied knowing that all of our efforts have resulted in a good sum of money being raised for local health services. We at Monticello would like to wish everyone a Happy Easter and hopefully we can all take a moment this weekend to reflect on what truly matters to all of us. For me, the health and love of family is the core. Everything else emanates from that center. Happy Easter! Recently we lost a good man, friend and member of our industry, Mark Heinemann. His smile and good cheer will be sorely missed by all those that knew him. Mark was a little older than me, but I can remember Mark all the way back to our elementary school fifth grade camp trip to Occidental. Mark was a counselor the year that we went. In recent years, I would enjoy talking with Mark about new barrels for the year or joining him and the team at Demptos for one of their events. The vibe was always warm and welcome. Mark was a good man, whose life was cut short far too soon. We'll keep Mark and his family in our thoughts and send them all the positive energy we can to help them through this difficult time." Our dad, Jay Corley, was a colleague of Lou Spadia, when Lou was the president of the 49ers in the late 1960s and early 1970s. While Jay was busy getting Monticello Vineyards started in Napa Valley, Lou was working on making the 49ers be the best they could be, having been with the team since 1946 before rising to become president. Jay would attend games at Kezar Stadium as a guest of Lou's, and when the 49ers were gearing up to move to Candlestick Park, my dad mentioned to Lou his interest in procuring season tickets. Lou asked where he wanted to sit, and our dad said, ""On the fifty yard line and in the sun."" Done. The Corley Family has been cheering the 49ers from LE Section 31, Row 23, Seats 9-10 since the 49ers moved into Candlestick Park. There are some correlations between football and winemaking that are not immediately apparent. We talk about both in terms of seasons or vintages. 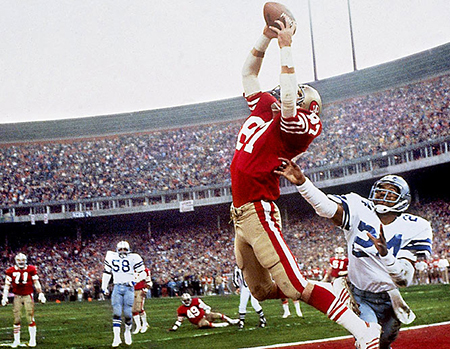 We celebrate the 1981, 1984, 1988, 1989, 1994 (and hopefully 2011) seasons of the 49ers for the exciting Super Bowl victories. In the same way, we celebrate the best of our winemaking vintages ... in Napa Valley, for example, 1995, 1997, 1999, 2002, 2005, 2007, 2008 Cabernet Sauvignon. In between the celebrated vintages are seasons that may be less exciting or even sometimes disappointing. We've certainly sat through some difficult seasons at Candlestick, but we've always kept the faith with the team and cheered them on regardless of the circumstances. 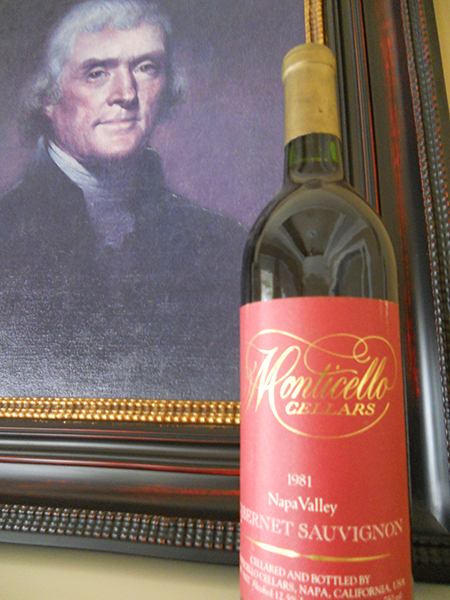 I imagine we have some long time Monticello fans that get more fired up about the celebrated vintages than others. Thats okay, and its the nature of both wine and football. The important thing is, in the long run, they are still Monticello Faithful and are still excited about what we do. 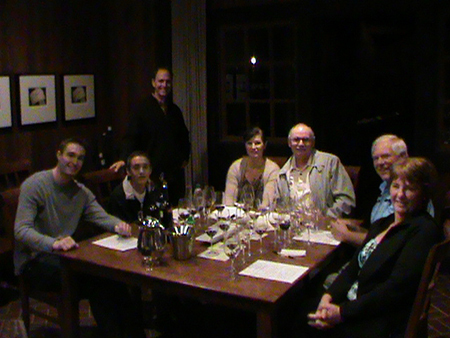 In a way, this 2011 49ers season reminds me of the 2005 vintage in Napa Valley. We were excited to have Jim Harbaugh at the helm. Our dads a Stanford grad, so we follow the Cardinal, their last few seasons with Harbaugh and Luck have been as exciting as any recently. We used to go to the games at the old Stanfor Stadium when John Elway was tossing balls to a very acrobatic Kenny Margerum. 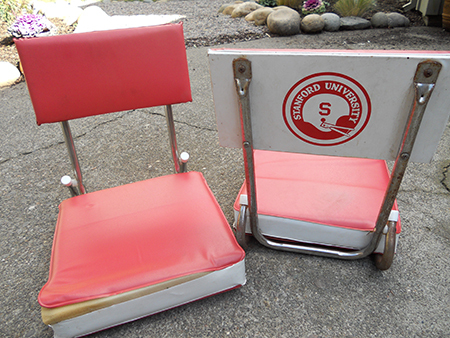 My mom recently dug out those old rusty Cardinal seatbacks for those old wooden Stanford benches. Now we use them to watch my son Jackson play for the Napa Saints. Anyway, I digress. With Harbaugh on board, my personal forecast for 2011 was that the 49ers might go 9-7 and hopefully get into the playoffs. As each game was played, it just kept working out, and the Saints-49ers divisional matchup was the most exciting 49ers game I've watched in the last 15+ years. The season just kept developing and the 49ers kept figuring out ways to win, with great team play. The 2005 vintage in Napa Valley was similar. The season started out with good expectations, but nothing that foreshadowed greatness. As the cool season continued, and we kept sampling and tasting the fruit, we began to realize that we really had something special developing. The fruit kept hanging and improving, and by the time we picked, we knew we had a great vintage on our hands. Things sometime just work out both on the field and in the field in ways that are not foreseen. For now, Lets Go Niners! These last few days have been busy and also a lot of fun. Monticello participated in four appellation tastings and a trade-only tasting hosted by the Napa Valley Vintners, Premiere Napa Valley (PNV), at the Culinary Institute - Greystone, in St. Helena. This year, our unique auction offering was monikered 'The Five Boroughs of Monticello', and is a Cabernet Sauvignon based blend incoprorating all five vineyard sites. The wine is rich in texture with dark fruits, smoky oak accents and a long finish. I'm really happy with this blend. The Premiere Napa Valley event is always a pleasure to attend, and it gives us a chance to visit with all the incoming trade (distributors, restarateurs, retailers) that are in Napa for the week. Its a great opportunity for us to introduce our wines to new trade and also to visit with friends and existing reps. 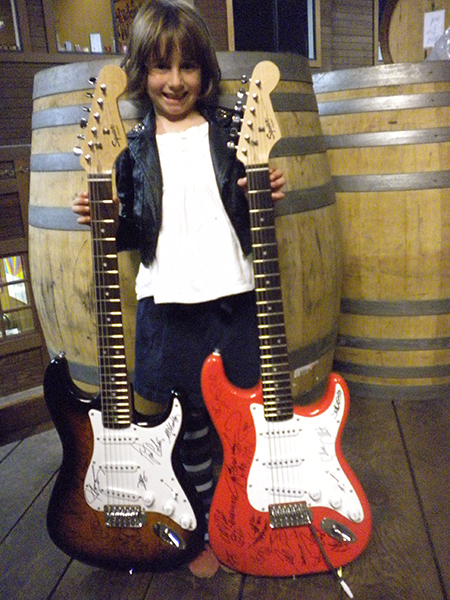 The resulting auction also raises a lot of money for the Napa Valley Vintners (NVV), an organization that our family has dedicated a lot of effort to support. Our father, Jay Corley, is a past President of the NVV. 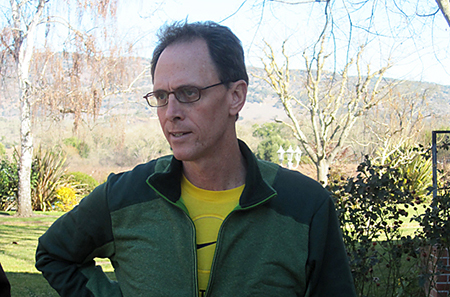 Stephen Corley is currently in his second year as Vice-President, and Kevin Corley has spearheaded the volunteering of time and leadership of the Beverage Committee at Auction Napa Valley for the last couple of years. 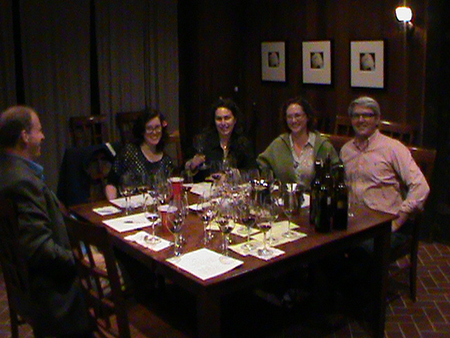 Most of the winewriters and bloggers are in attendance for the Premiere event and the appellation tastings preceding it. Over the last few days, I've spent roughly 12 hours standing on the other side of the table pouring our Monticello wines for various tradespeople and winewriters. This year I was struck by the differences in approach of different writers and tasters. At PNV, there are 200 wines that are being poured. 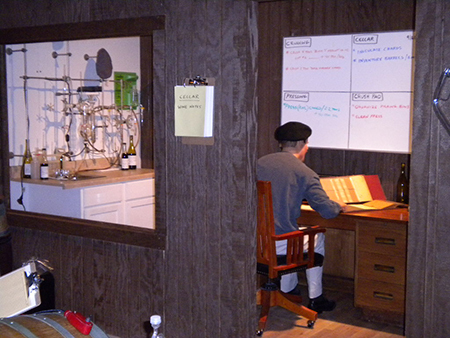 I know of only one writer that commits himself and maintains the discipline to go through all 200 wines and keep organized notes of each wine. 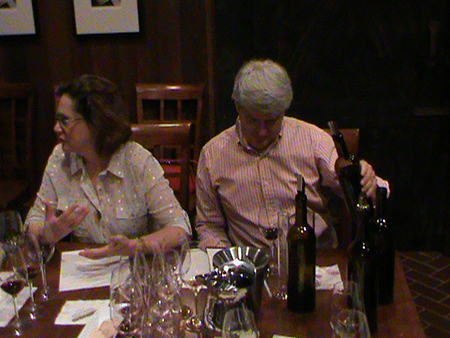 From my side of the table, Alder Yarrow, of Vinography (www.vinography.com), with his tasting notes going directly into his iPad, clearly is the writer that walks away with the most comprehensive view of this tasting. My apologies to any other writers that are attempting to put together comprehensive reviews of these tastings, but from my side of the table, Alder seems to me be in a league of his own in his approach to tasting at these types of large scale events. The bidders are typically pretty organized in their approach, as they are determining what lots they are going to invest their auction budget into. These bids are based on wine quality, but also a large part based on brand. As with most auctions, you pretty much know which ones are going to be the big bids going into the day. While our 5 case donation does not generate the stratospheric prices of some of these top lots, we're very proud of the time and energy that we've put into the NVV, related organizations and our community over the last 40 years. A lot of the money raised by the Napa Vintners goes to a lot of great causes around Napa that eventually helps lots of people in our community. From our side of the table, we are proud to be a part of a community that cares for and puts so much energy into the others that need help in the community. Our kids, at 6 and 5, are right in a sweet spot for trick-or-treating. In the last year or so, Halloween has become a lot of fun again with that exciting kind of dump-your-candybag-on-the-table-and-tally-your-loot kind of anticipation. 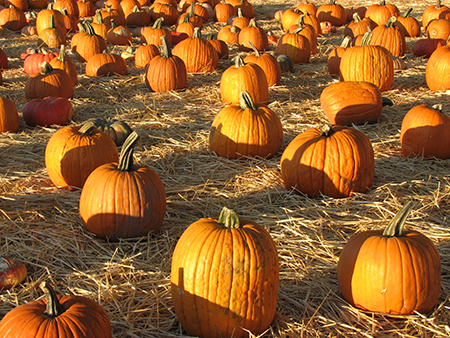 It's so much fun to watch the kids running from house to house in their costumes yelling out 'trick or treat' and loading up their bags and little plastic pumpkins. We're going to gang up with some friends that live near us and hit the neighborhood tonight en masse. I'm really looking forward to the evening. It occured to me this morning as I came into the winery to check on our fermenters (we still have a lot of grapes fermenting in tanks and bins) that it's kind of 'Trick or Treat' in the winery for us winemakers too. Although we're not wearing costumes, we go from tank to tank knocking on doors, pulling samples and tasting ferments to gauge what kind of treat we've got. Just like the neighborhood kids, the expectation is that we'll get a treat and won't have to perform tricks. The anticipation lays in whether we're going to a tasty bag of candy or some pretzels. When we were kids, we knew the right houses to go to for the best treats, and the ones to avoid where the crabby old people handed out peanuts or simply didn't answer the door. In the same way, as a winemaker, we also know which tanks are going to give us the best treats as we make our rounds. Still, I have the same giddy anticipation at the end of harvest as my kids will have tonight, when I spread my seasonal loot out on the blending table and organize all my wines into different categories of what I like best, and what's medium and what I want to trade. This year so far, it looks like a pretty nice bag of enological loot! "This past weekend, we flew out to College Station, TX to host a series of wine events at the George H.W. 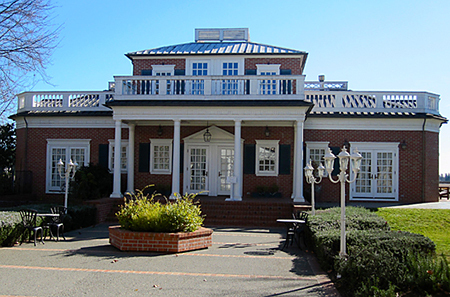 Presidential Library and Museum. Mark Burns, a family friend and wine broker for Monticello, has recently put together a fantastic wine exhibit which is on display at the library. It's called ""The Culture of Wine"", and represents the California / Napa Valley wine industry in the 1980s, shortly after the famous 1976 Paris Tasting that put California, and specifically Napa Valley, on the global stage in terms of winemaking excellence. We donated a lot of equipment to the exhibit, which Mark painstakingly refurbished to be put on display. 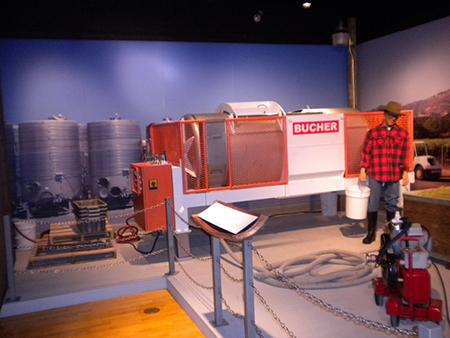 The press in the exhibit is the actual Bucher RPM250 that we used at Monticello from 1981 until 2006, when we replaced it with a current model. 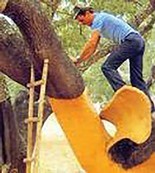 I've spent the better part of 15-16 years crawling around in that press, pulling seeds and grapeskins out of my beard and hair. 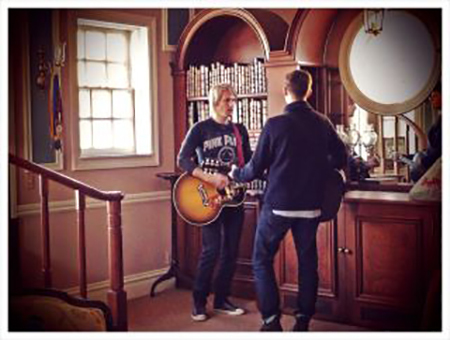 I hardly recognized it after Mark had spent so much time preparing it for the show. The lab equipment, the pumps, and even some of the grapevines in the show are the real deal from Monticello. We're very proud of what Mark Burns accomplished with this exhibit and are proud to have been able to contribute to his efforts. You can see more of the exhibit, including video and photos at www.thecultureofwine.com. We had a couple of opportunities to host seminars as well. On Thursday evening, I had the wonderful experience of addressing a group in the auditorium at the Library. In addition to the general audience in attendance, we had faculty and students from Texas A&M University that joined us for the evening. I particularly enjoyed speaking to and with the staff and students from the Viticulture/Enology and Mechanical Engineering departments. As I never really went to college, the irony of me speaking to a 'degreed' group of teachers and students was not lost on me. On Friday morning, we had a really great experience in visiting President George H.W. 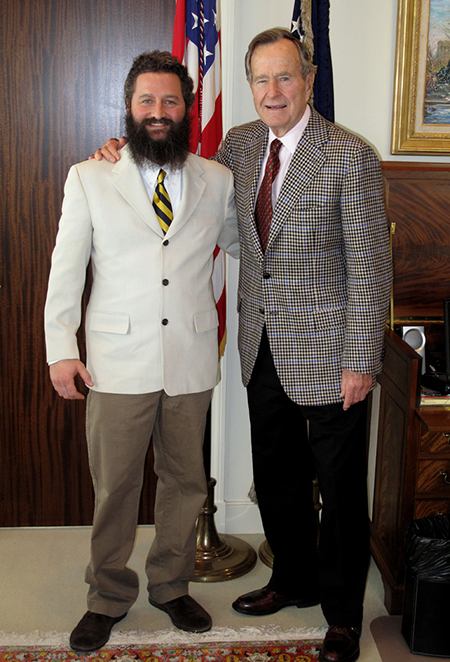 Bush in his private offices in Houston. After checking in with the Secret Service (they didn't even make me check my beard at the door!) we toured his private offices and visited with his staff and then visited with the President for about a half-hour in his private office. It was an absolute honor to spend personal time with the President. He even gave us a Presidential seal of approval on the wine that we had blended specifically for his Library and Museum foundation - the 2006 Monticello Vineyards Presidential Red Wine - Bush Library Designation. The 2006 PresRed is a blend of Merlot and Cabernet Franc and was tasting great throughout the weekend in my unbiased opinion. Saturday evening was a lot of fun as well. My brother Stephen and I led a wine-tasting seminar of 8 of our 2006 vintage Monticello wines at the Library and then wrapped up the evening with a tasty dinner in the rotunda of the museum. It was a treat for us to honor two past Presidents at the dinner we hosted - Thomas Jefferson and George H.W. Bush. And I personally was very excited to see the Saints win the following afternoon!"